Professional building design for your new home, Villa, renovation or multi-unit project. Utilizing 3D modeling and sustainable principles our award winning designers can make your project stunning and affordable! We are here to help you through the process of building as well with a great team of professionals dedicated to you. Contact us today for more information or to receive your guide of the Pre building process. We work with clients at all stages of the building process from concept through to completion ensuring a smooth journey along the way. Brisbane Building Company. It starts with a Conversation. Paris Projects are builders & renovators of beautiful one of a kind homes. At Paris Projects we provide: Design and Build, Construction, Kitchen, Bathroom, Swimming Pools & Landscapes. Abbott Builder's QLD (Pty Ltd) has over 38 years experience in the building industry. 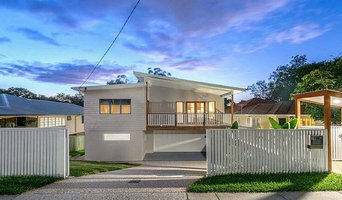 We are the name resident across Brisbane & Queensland rely on us when it comes to design & building of their property. We endeavor to create successful partnerships with you, as we are here to build your dreams. Entering our 4th decade of building architecturally designed homes, we've discovered a simple home truth far more important then just building a house..you! That is why a corporate culture of friendly client service & team spirit permeates throughout the Abbott Builder's Organisation. Abode Construction is a family-owned company renowned for its commitment to achieving the perfect living environment for its clients, both inside and outside the home. 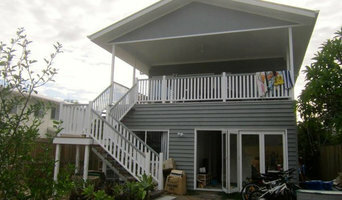 A & K Designer Build is a boutique design and construction company located in Brisbane, Queensland. Specialising in custom built residential homes, we work closely with our clients through the design and construction process. Our personalized service ensures that you are kept up to date with your project as it progresses from the design stage, through the approval process, onto the construction stage and finally to practical completion. With the aid of our builder and interior designer, we talk through what aspects of your home are most important to you and design your new home accordingly. Having worked on varying styles and sized homes before, we ensure our services are tailored to suit you. Zou Build is a family-owned building company, established in 2012 based on Brisbane’s Southside. Zou Build specialises in renovations, extensions and also complete smaller domestic building works across homes in all areas of Brisbane. With over 15 years experience in the construction industry, you will experience a personal building service. Throughout the process, you’ll enjoy constant interaction and consultations with our builder to ensure minimal stress and maximum quality of workmanship. SSB Design Studio is a boutique building design studio servicing Brisbane run by Simon Scott. Established in 2009, it has become a progressive and emerging multi-award-winning design consultancy offering building design, interior design and project management services. My 19 years of experience in architecture and building design means I have the ability to design something that is current and timeless. My approach is to always be client focused and passionate about architecture. It's important to be creative and innovative in designing functional and unique but practical design solutions. The studio believes in a collaborative approach and reaches achievable quality design solutions by listening to client requirements and working within their budget. My attention is in what my clients are saying, their wants and needs, and this results in an easy and stress-free experience. Designing your dream home? Developing a property? Considering a renovation or extension? Every question to ask, every detail to consider, and everything you need to know before you design, build, extend, or renovate...... Res Solution Design will lead the way. 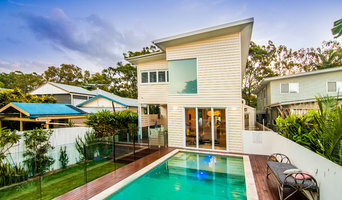 We’re one of the leading property development design services in Brisbane, with good reason. Res Solution Design are qualified and experienced building designers and development managers who are dedicated to helping your building project succeed. We are members of the Housing Industry Association and Building Designers' Association of Queensland. We have years of experience in the building industry and unparalleled expertise in property development and custom design home plans, making us invaluable partners for whatever you want to build. If you can imagine it, we can design it then help you find the right builder to build it. It doesn't matter if you need help designing your dream home, if you're looking to develop property, or if you want to improve your house with a renovation or an extension... Res Solution Design is your first choice. We 'Project Manage' small to medium sized residential projects such as new homes, town houses and home units, as well as land subdivisions. We take projects through from the initial conceptual stage, through design and feasibility, civil works, building construction, DA Council compliance, plan sealing and new titles registration - a total 'one stop shop' - all on behalf of our clients of which there have been many over the years - if you have an idea we'll advance them to a plan and then a completed project. We can do as little or as much as you like or your project needs so if you want to build a home, build an investment home, build home units, or build townhouses just give us a call or drop us an email - you will be pleased you did. We have a great record of achieving more for your budget. Check out our website for some case stories. 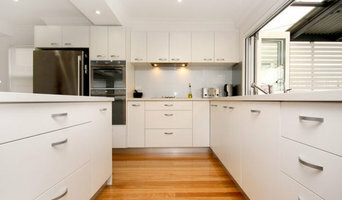 Build Instyle Qld is a building and renovation company based in Brisbane inner South East. We are dedicated to providing exceptional quality and personalised service to our clients, whether it be a small deck or bathroom right through to large scale renovations and custom builds. Our diverse array of skills and knowledge across the industry enables us to address most situations professionally and accordingly. Our 25 years industry experience also sees us heavily involved in insurance work and QBCC rectification work, where we get to see firsthand the results of poor building practices. And this is why we are so good at what we do! Ultra Property is a multifaceted company that provides a wide range of property development advisory solutions to Brisbane property developers, investors and land holders. To differentiate ourselves from other construction project management firms, Ultra Property aims to consistently provide our clients with quality and reliable service that is not only detailed but also personalised. As our company grows our clients are no longer limited to Brisbane property developers, but now also include Australia wide as well as international clients who have a keen eye in investing in Brisbane's property market. Ultra Property's commitment in building long term relationships with our clients, consultants and contractors is pivotal to the success of our company. Some of the services we provide as property development advisory consultants involves working with clients from the beginning to the sale of a project including feasibility studies, site investigations, securing development approvals and property design management. So whether you have a new development project and want to get off on the right foot, or if you have a problem with an existing project, contact Ultra Property today. Free initial consultation is available. Specialising in designing and building individual small lot homes focusing on exceptional design, excellent materials and workmanship and a solid commitment to quality projects. Jazz Designs is an innovative and progressive building design company which has been successfully servicing the residential housing market for the past 16 years. The company has been in operation since the 1st of July 1995, and has enjoyed a consistent level of growth during this time. We attribute this to our continued strive for excellence in both the services we provide and the level of design skills we offer our clients. Jazz Designs use the latest available technologies in its daily activities. All our designs are prepared on a CAD platform that has been adapted to best service all aspects of architectural design and drafting. This then allows us to produce a comprehensive 3D model of your home which can be viewed at any angle to allow you to visualise the end product before it is built. This is an invaluable tool which has enhanced the entire design process. When building or renovating, people often turn to architects to kick off their project. However, a different model is becoming more popular with homeowners: design and construction, also known as design-build. Instead of hiring and dividing tasks between various professionals – e.g. architects and builders – you can hire a design and construction firm to cover your entire Wooloowin, Queensland project, from the initial sketches through to construction. What does a design and construction firm do? Firms that can carry out both design and construction in Wooloowin, Queensland take on the combined responsibilities of an architect, draftsman, construction company and additional contractors, providing one point of contact for homeowners. Having one entity responsible for the entire design and build, from estimation to subcontracting and even post-construction, streamlines and often speeds up the project significantly. Having a unified project team can also help you avoid unforeseen costs and delays in construction. In addition, the homeowner only has to interpret one contract with the design and construction firm, and not with various architectural design and contracting professionals. However, depending on the firm, you may still want to contact an interior designer or architect to help create the exact look you want. Here are some related professionals and vendors to complement the work of design & construction firms: Interior Designers & Decorators, Landscape Architects & Designers, Architects, Photographers. Should I do my own project management? Project management demands time, skills and an eye for both detail and efficiency. While many homeowners choose to manage their own projects, they can often regret their decision once the build or home improvement project is complete. Homeowners should carefully consider the time they have available to allocate to locating, hiring and eventually paying every contractor who enters the site. From certifiers to roofers, and even your draftsman, a firm that can undertake design and construction in Wooloowin, Queensland benefits from having all of these home professionals under one roof. Find a Wooloowin, Queensland design-build firm on Houzz. Scroll through this page to find design-build firms in your area. You can browse recent projects, read reviews and message the firm directly. Another way to find a firm that can carry out design and construction in Wooloowin, Queensland is to browse Photos on Houzz. If there’s a photo you like, find out who designed and constructed it and strike up a conversation with the professional responsible.